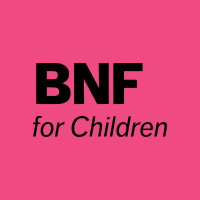 The British National Formulary for Children is the unrivalled guidance on prescribing, dispensing and administering medicines to children. 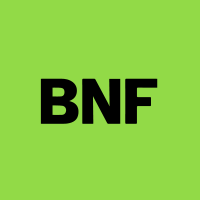 BNF for Children is the only child-focused drug formulary in the world that is both independent, and has rigorous, accredited content creation processes. It is trusted by health professionals worldwide as their primary source for minimising medication errors in paediatrics. This update contains 4 significant changes, 1 dose changes and 2 new preparations. 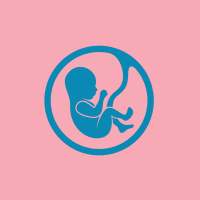 Carbimazole: increased risk of congenital malformations; strengthened advice on contraception [MHRA/CHM advice]. Carbimazole: risk of acute pancreatitis [MHRA/CHM advice]. Controlled drugs and drug dependence: reclassification of gabapentin and pregabalin as Class C and Schedule 3 Controlled Drugs. Note: Preparation records containing pregabalin (BNF only) or gabapentin may not display a CD3 symbol for the April 2019 monthly update but will be amended in due course. Yellow fever vaccine: updated guidance in-line with Public Health England recommendations. New Preparations: Blincyto® [blinatumomab], Tygacil® [tigecycline]. This update contains 8 significant changes, 4 dose changes and 1 new preparation. Anthrax vaccine: updated guidance in-line with Public Health England recommendations. Attention deficit hyperactivity disorder: updated guidance on management. Cholera vaccine: updated guidance in-line with Public Health England recommendations. Ipilimumab (Yervoy®): reports of cytomegalovirus (CMV) gastrointestinal infection or reactivation [MHRA/CHM advice]. Japanese encephalitis vaccine: updated guidance in-line with Public Health England recommendations. Methotrexate: updated recommendations for conception and contraception. Tapentadol(Palexia®): risk of seizures and reports of serotonin syndrome when co-administered with other medicines [MHRA/CHM advice]. Typhoid vaccine: updated guidance in-line with Public Health England recommendations. Anthrax vaccine [dosing schedule updated]. Imipenem with cilastatin[dosing recommendation in renal impairment updated]. 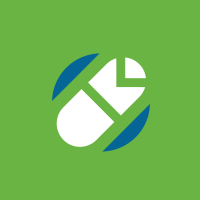 Japanese encephalitis vaccine [dosing schedule updated]. This update contains 6 significant change and 1 new preparation. 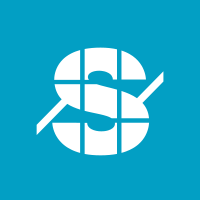 Direct-acting antivirals for chronic hepatitis C (sofosbuvir): risk of hypoglycaemia in patients with diabetes [MHRA/CHM advice]. Emollients (see Emollient and barrier preparations): new information about risk of severe and fatal burns with paraffin-containing and paraffin-free emollients [MHRA/CHM advice]. Gemtuzumab ozogamicin for untreated acute myeloid leukaemia [NICE guidance]. 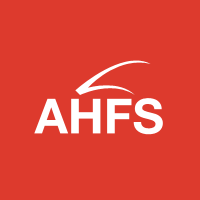 Hydrocortisone muco-adhesive buccal tablets: should not be used off-label for adrenal insufficiency in children due to serious risks [MHRA/CHM advice]. Valproate medicines (see sodium valproate and valproic acid): are you acting in compliance with the pregnancy prevention measures? [MHRA/CHM advice]. This update contains 5 significant change, 1 dose changes and 3 new preparation. Doxycycline: license extension into children aged 8 to 11 years. Guidance on prescribing: New Medicines Service and Medicines Use Review service information included, and highlighted in the relevant treatment summaries. Systemic and inhaled fluoroquinolones (ciprofloxacin): small increased risk of aortic aneurysm and dissection; advice for prescribing in high-risk patients [MHRA/CHM advice]. Vaccines: updated guidance on the influenza vaccine in-line with Public Health England recommendations. Vaccines: updated guidance on the routine immunisation schedule in-line with Public Health England recommendations. Colistimethate sodium [dosing recommendations for inhalation of nebulised solution and for intravenous use]. New Preparations: Cetraxal Plus® [ciprofloxacin with fluocinolone acetonide], Crysvita® [burosumab], Zebinix® [eslicarbazepine acetate]. This update contains 1 significant change, 7 dose changes and 1 new preparation. Lyme disease: updated guidance on management. Amoxicillin [update to indications and doses for Lyme Disease]. Azithromycin [update to indication and doses for Lyme Disease]. Ceftriaxone [update to indications and doses for Lyme Disease]. Clarithromycin [dosing recommendation for Lyme Disease deleted in line with updated guidance]. Doxycycline [update to indications and doses for Lyme Disease]. Erythromycin [dosing recommendation for Lyme Disease deleted in line with updated guidance]. Influenza vaccine [update to indication of annual immunisation against seasonal influenza (for children in clinical risk groups who have not received seasonal influenza vaccine previously)]. This update contains 1 significant change and 1 dose change. Transdermal fentanyl patches: life-threatening and fatal opioid toxicity from accidental exposure, particularly in children [MHRA/CHM advice]. Levonorgestrel [update to timings of administration of intra-uterine devices and advice on additional contraceptive precautions].